SDD in place of Si-Pin Detector for enhanced performance Detection (Spectral Resolution). Titanium to Uranium Measurement Results : Iron (Fe), Cobalt (Co), Nickel (Ni), Copper (Cu), Zinc (Zn), Ruthenium (Ru), Rhodium (Rh), Palladium (Pd), Silver (Ag), Cadmium( Cd), Indium (In), Tin (Sn), Osmium (Os), Iridium (Ir), Platinum (Pt), Gold (Au) -all metals separately. Accurate, Reliable and non destructive testing method. Spacious tank for big ornaments, special design of tank to reduce buoyancy error. We offer the best quality Silicon Pin XRF Detector to our clients at an affordable price. This particular product is idea for manufacturing centers, gold refineries, testing centers and Hallmarking centers. The equipment is able to detect different kinds of elements with utmost accuracy and so clients can have the best results. Height : 210mm (with test compartment cover in : closed position) & 565mm (in open position). Handheld X-ray analyzer works on a rechargeable 7.2V Li-ion battery with a backup period of 8 hours under normal use. XRF analyzer has a detectable range from Ti to U.CGX-104 operates under control of the HP iPAQ PDA with 4-inch high-resolution touch-screen display. 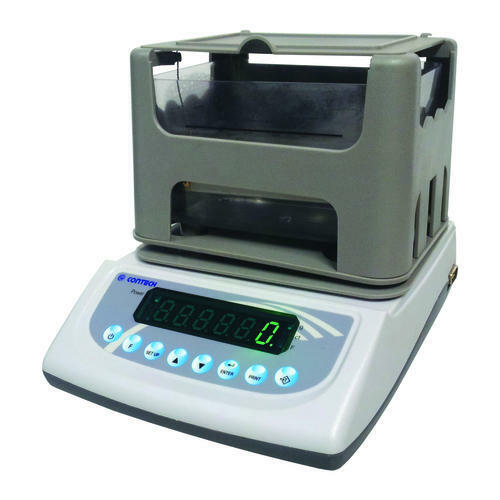 The optional lab stand allows using of the handheld analyzer as a tabletop instrument under PC or laptop control. 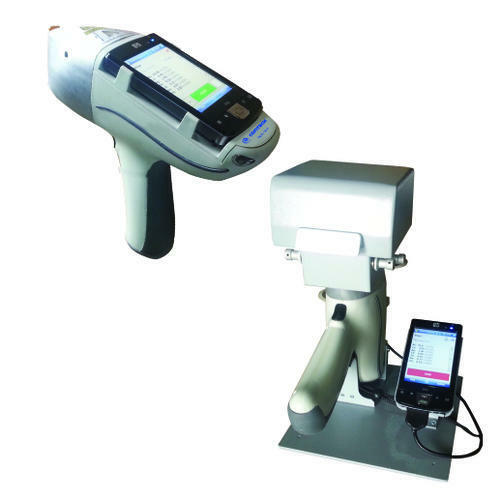 The Gas Proportional XRF Detector that we offer is suitable for being used in jewelry showrooms, banks, jewelry processing industries and financial institutes. 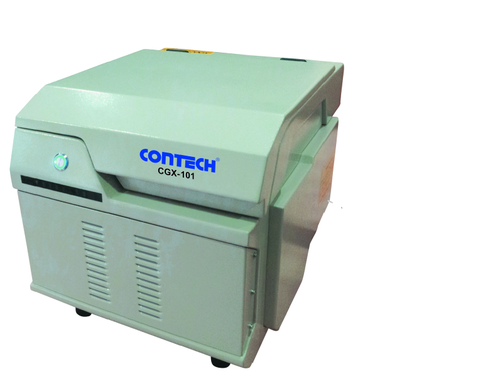 This equipment can accurately detect elements like rhodium, palladium, platinum, silver and gold. As it makes use of the latest detection technology the result is most accurate. Looking for “X-ray Fluorescence Spectrometers”?